Howdy children! Get ready for an exciting playtime today. It’s time to indulge in some coloring exercise as well as play with toys. 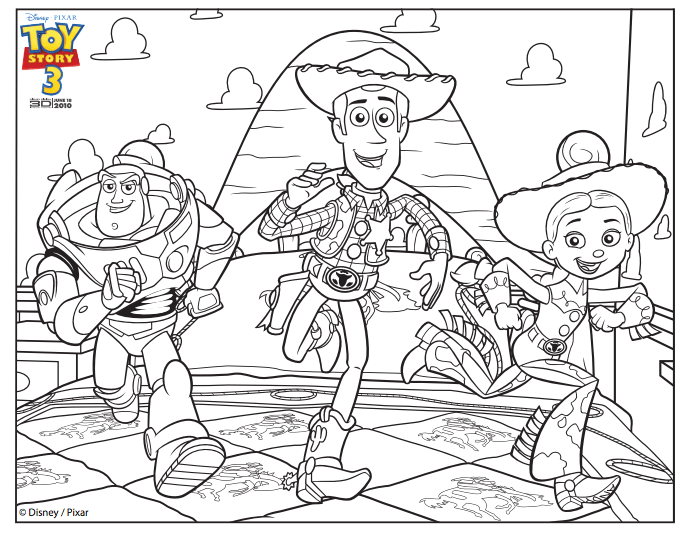 We are here today with an incredible collection of free printable Toy Story coloring pages for you. 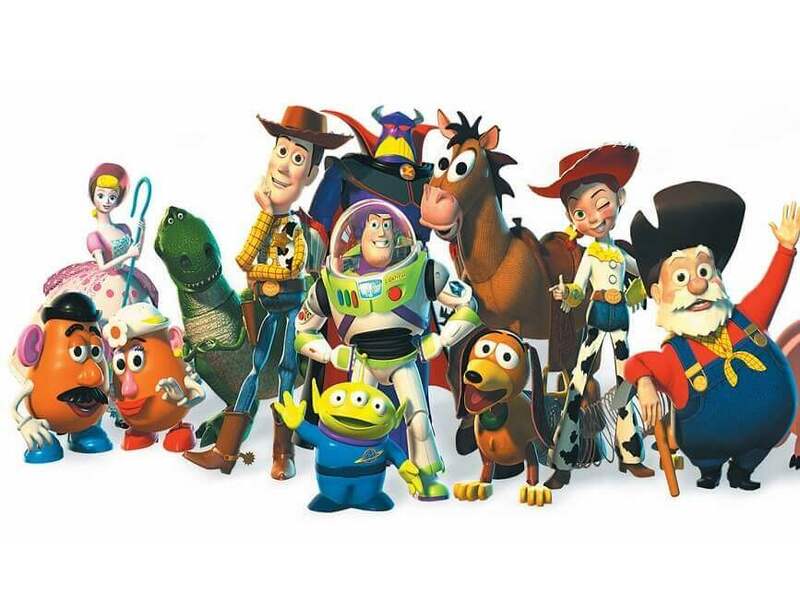 The first film in the Toy Story franchise was released in 1995, simply titled “Toy Story”. It was Pixar Animation Studios’ first feature film and a pioneering film in the world of animation as it was the first feature-length film which was completely computer-animated. Toy Story tells the story about the adventures of a young boy Andy’s toys – lead by cowboy Sheriff Woody and space action figure Buzz Lightyear – while they watch him grow up into a college-going boy and get neglected by him. 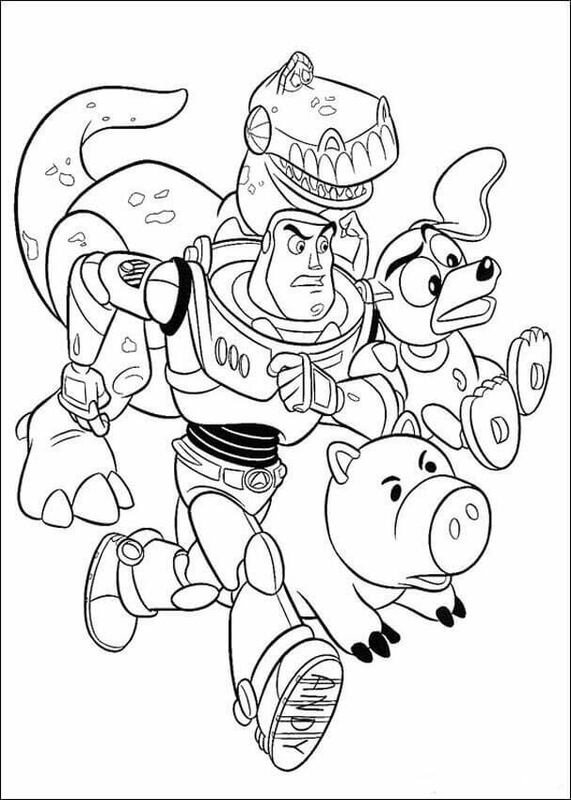 Let’s get deeper into the world of toys with this collection of Toy Story coloring sheets to print. This is where the third part of the Toy Story, “Toy Story 3” ended, with a grown-up Andy contemplating about giving away his most treasured toy, Sheriff Woody as he sets out to college. Seeing how caring and loving little Bonnie was towards his toys, he felt she was the right person after him to look after Woody. Give this emotionally charged climax scene the best of your colors. 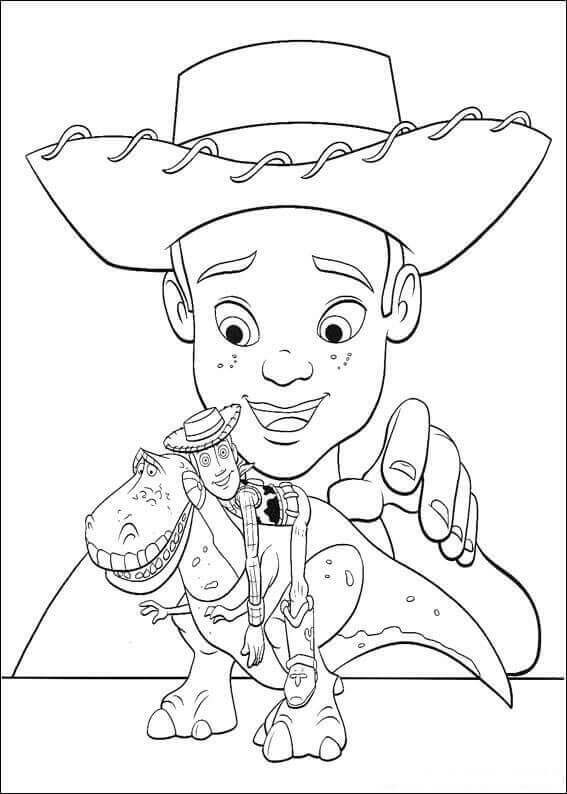 Always Andy’s favorite toy to play with, Sheriff Woody is a pull-string cowboy doll and he is here resting on the giant, green Tyrannosaurus Rex toy. 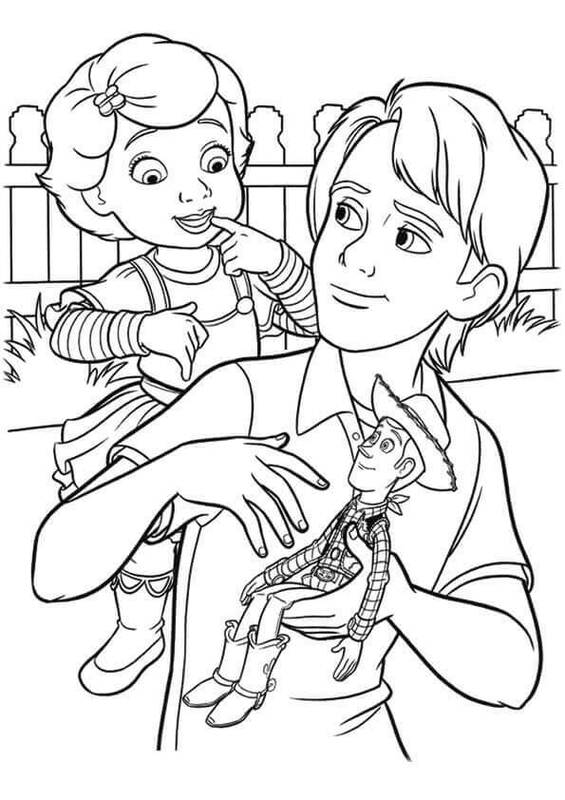 As soon as Andy gets home from school, he would rush to find Woody to play again. You must be doing the same, right? Being unable to wait to start playing as soon as school time is over. First introduced as a name only at the end of Toy Story and first seen in the sequel Toy Story 2, Buster is a pet dog Andy received as a birthday present. Thankfully for Woody and all the other toys, he is a cool dog and plays well with them, even helping Woody when in need. Print this page and give this happy get-together illustration your happy colors. When Buzz Lightyear first joined all the other toys of Andy’s it created a conflict with Woody, who was being ignored by young Andy for the modern space toy action figure. There was something wrong with Buzz though. He actually thought he was a real space ranger and not just a toy. It would take him a long time before he realizes that he is incapable of going to space. The first cordial meeting didn’t last for long as Andy favored his new modern toy to play with and Woody felt ignored and envious. Buzz believing that he is real and wanting to go to space led to more rifts between the two in the first movie, “Toy Story”. When Andy or any other human is not around all the toys come alive. During one such moment, Woody is seen having a good time showing his dancing skills, moving around on the stage carrying other little toys like Hamm – the piggy bank toy among others. 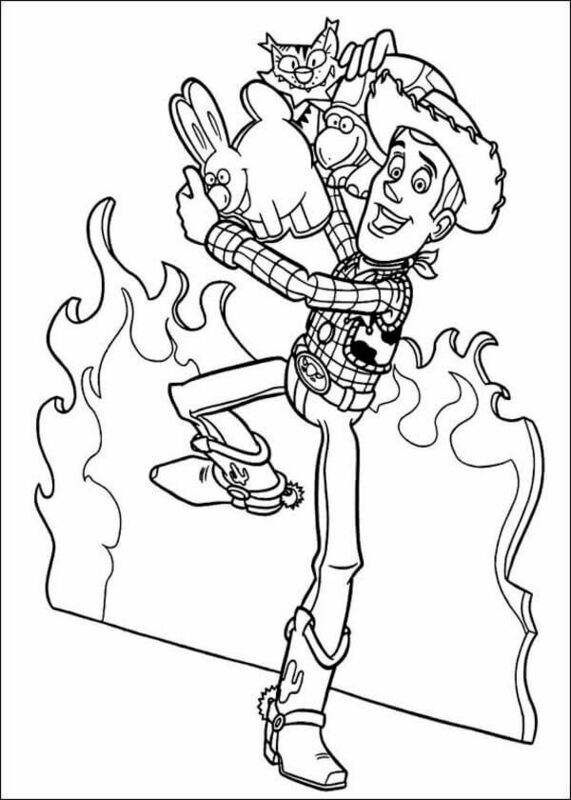 Print this coloring page and add a splash of joy with your coloring skills. 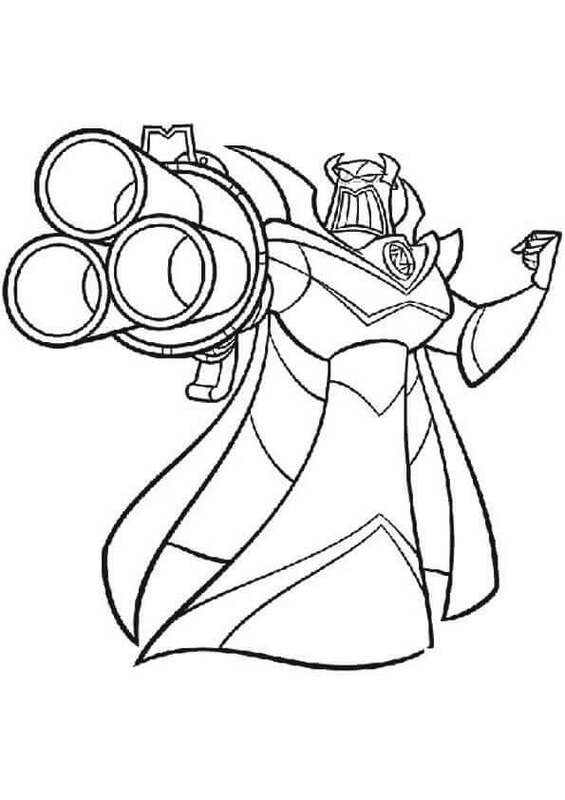 Evil Emperor Zurg is a space villain we hear about in the first movie when Buzz Lightyear talks about him being his archenemy. We get to see him in the sequel “Toy Story 2” when a Zurg toy escaped out of its box in Al’s Toy Barn. 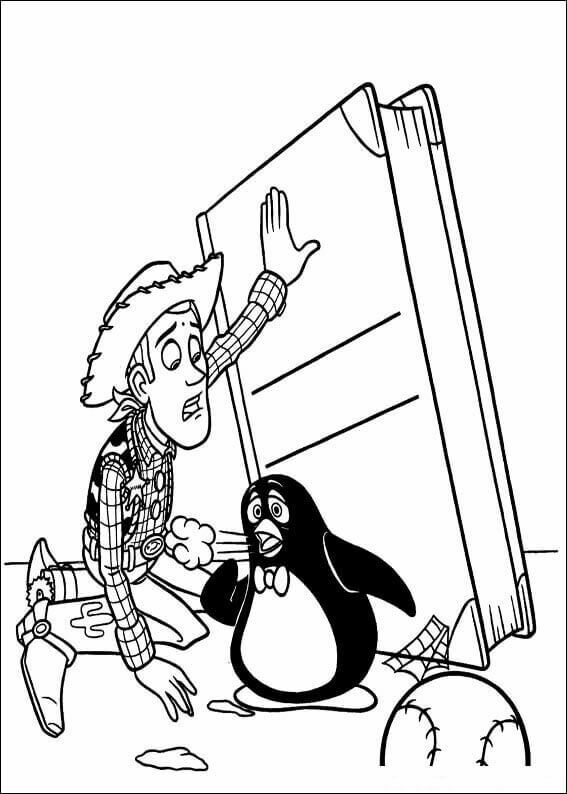 In the sequel, while trying to rescue an old broken penguin toy, Wheezy, from a yard sale, Woody gets stolen by Al, owner of Al’s Toy Barn. Buzz and the others including Rex, Slinky – the dog toy with metal slinky body and Hamm – a piggy bank, are on their way to rescue Woody. 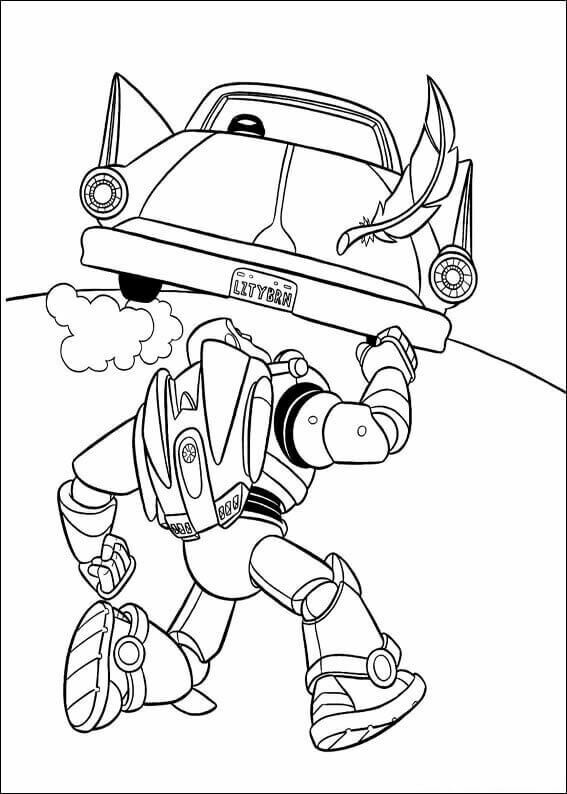 When Buzz first saw that Woody was being taken away, he tried catching up with the thief by running after the car. However, he fails. While talking about it with the others, they are able to finally identify the thief as Al McWhiggin and soon succeed in reaching his house. As Woody came out into the open, finding Wheezy and trying to rescue him from the yard sale, he too becomes a potential target of the buyers. 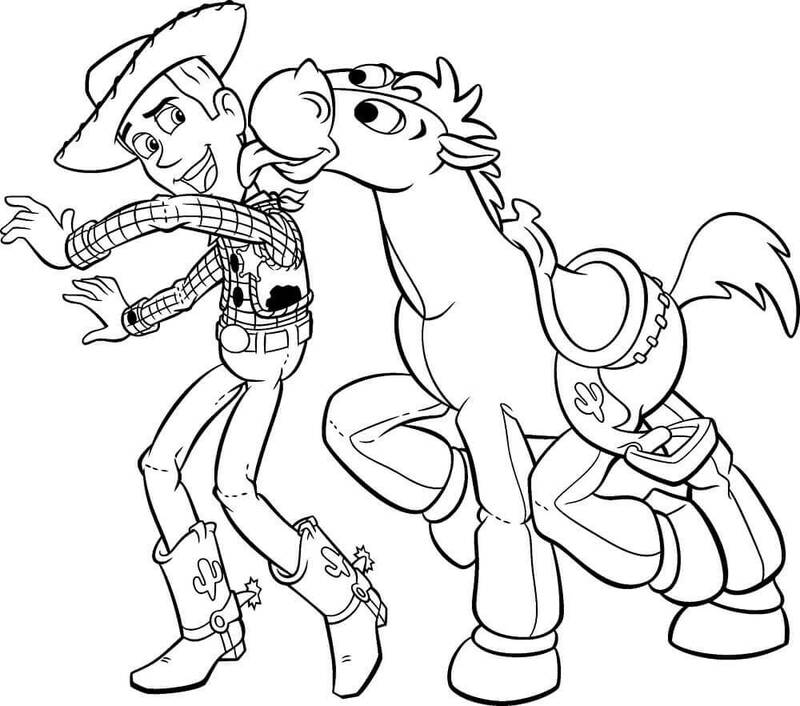 Unfortunately for Woody, Al comes and steals him away. When Woody is stolen and finds himself in Al’s apartment, he gets to meet other toys who were getting sold to Tokyo. He too was on the list now. 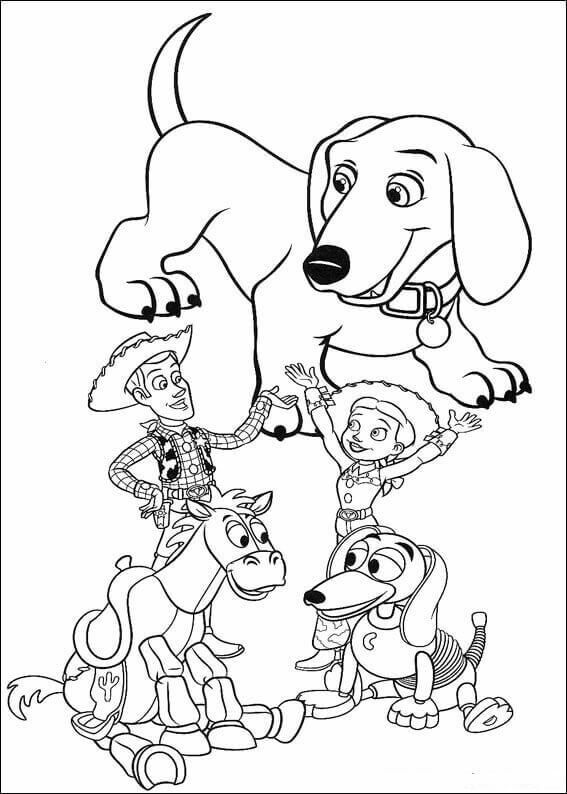 Among them is Jessie, a cowgirl, who initially isn’t keen on joining Andy’s gang of toys when they get rescued but eventually begins to love their company. Sweet and kind, Bo Peep is a shepherdess toy in Andy’s sister Molly’s collection. Gentle and considerate, she is the love interest of Sheriff Woody. Print this beautiful illustration of her and bring her to life with your coloring skill. In the third installment of the franchise, Toy Story 3, we find a few of Andy’s toys mistakenly ending up in a donation box heading to Sunnyside Daycare. 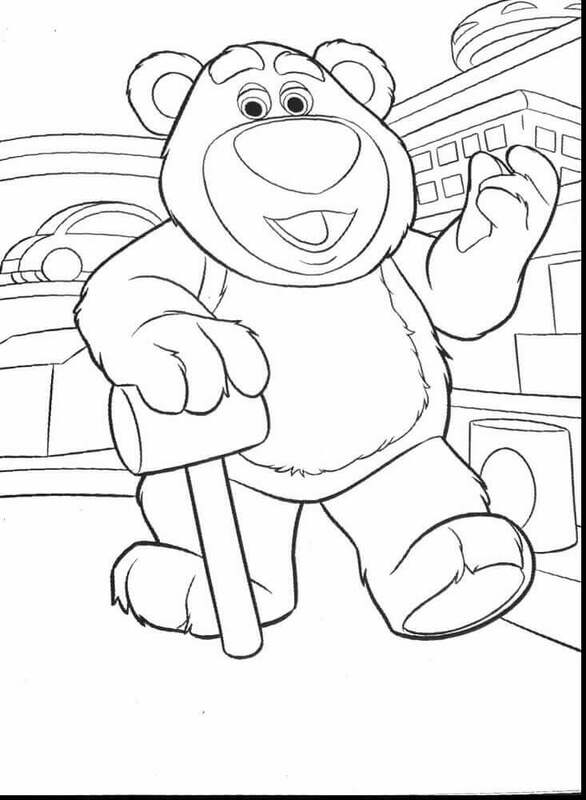 On reaching there, they meet Lotso – a teddy bear leader of the toys at the daycare. Woody and Andy’s other toys later learn he is more like a jailer of the daycare toy prison. One of the consisted characters in Toy Story franchise, Mr. 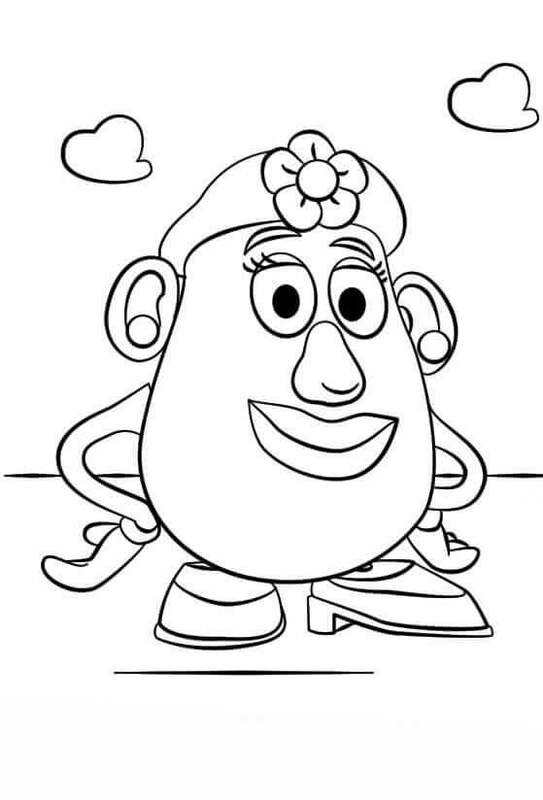 Potato Head is a doll in the shape of a potato. Very outspoken to the point of being rude, Mr. Potato Head comes with detachable parts which he can control even when the parts are lost somewhere. Mrs. 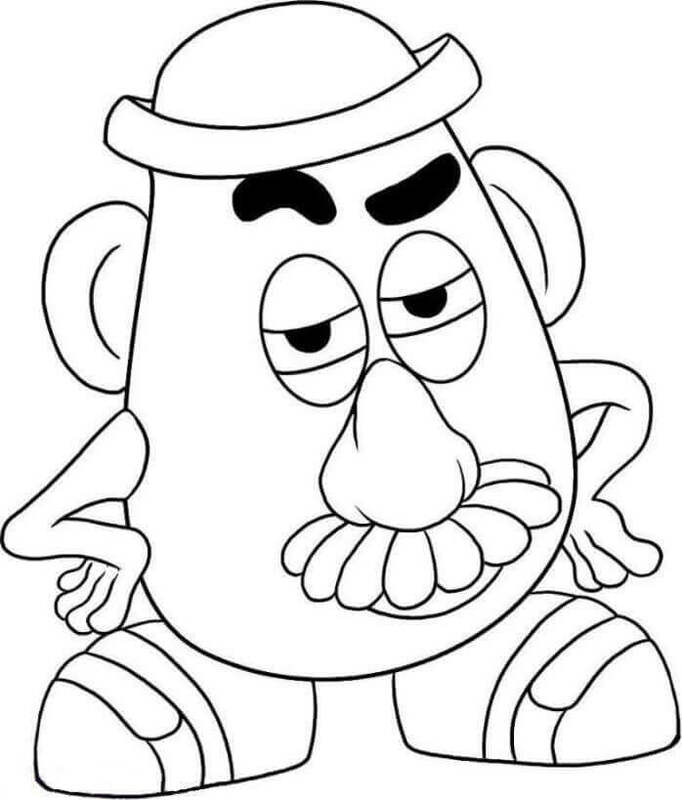 Potato Head’s character gets seen first in the sequel “Toy Story 2”. She is different from Mr. Potato Head in personality and is always sweet and kind. Doesn’t she look cute in this illustration? 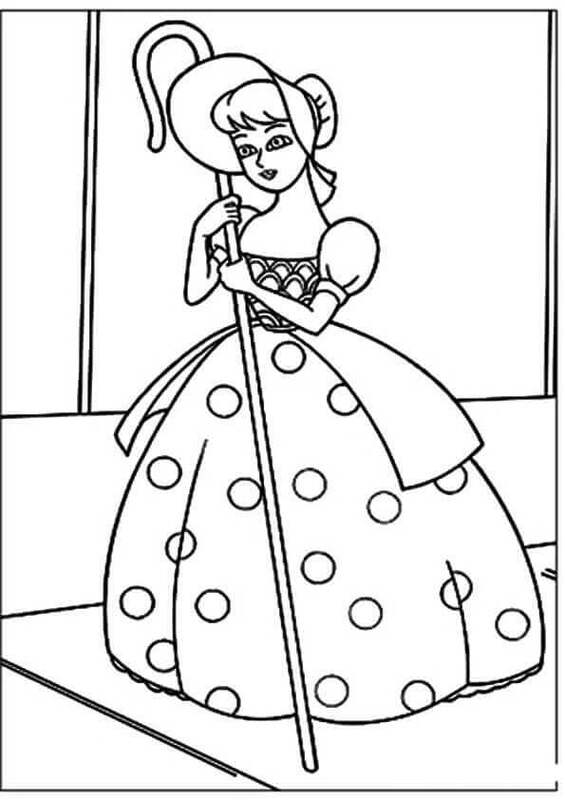 Print this page and give her your lovely colors. Rex is a dinosaur, a tyrannosaurus rex to be precise. He is large and green in color. As large as he is, he is often filled with anxiety that he is not very scary. This mighty toy creature is sensitive in nature, with a strong aversion to conflict. 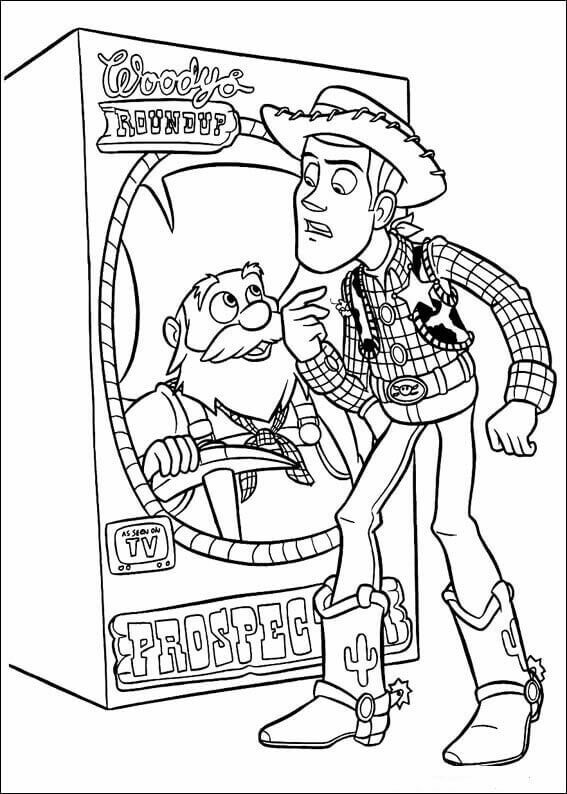 As a leader of Andy’s toys, Sheriff Woody is often seen helping other toy animals around, just like it is shown in this illustration. Here you can find him guiding a group of snake toys to their proper place. 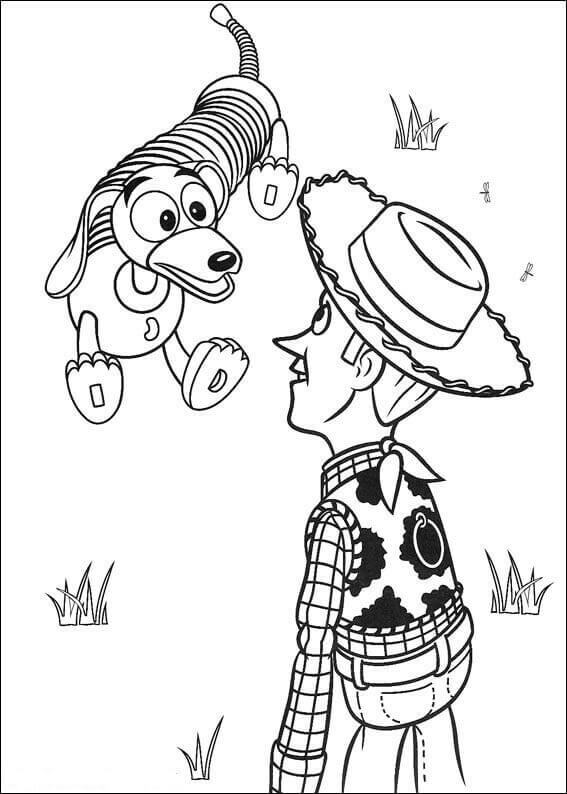 Slinky is a toy dog with a metal helical spring or slinky body and is very loyal to Woody. He is part of all three movies in the franchise, even being a part of the rescue team for Woody in Toy Story 2 and needed rescuing himself in Toy Story 3. In this illustration, you can clearly see the metal slinky body of Slinky, which is why he was named as such. 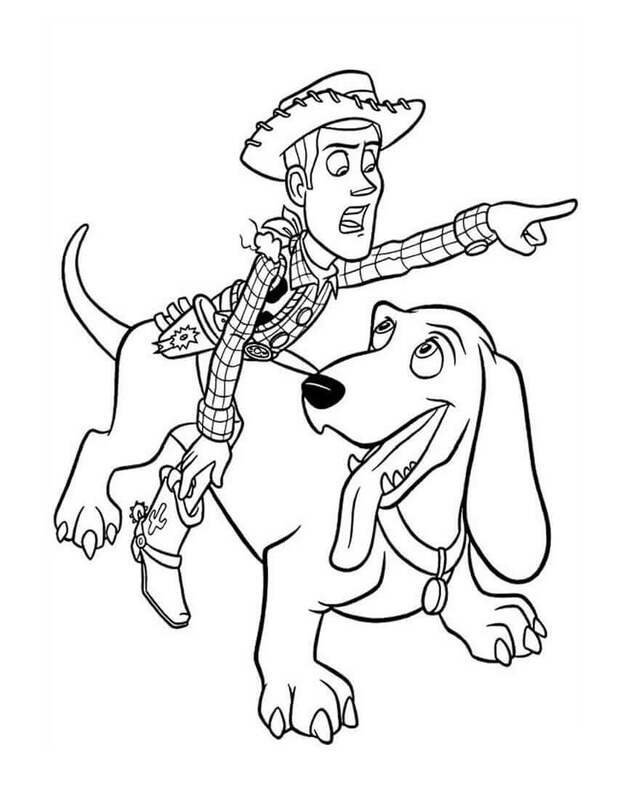 Give this loyal and true friend of Woody, some rewarding colors. Aliens are little three-eyed squeaky toys and are known to be kept under the care of Mr. and Mrs. Potato Heads by Andy during his playtime in “Toy Story 2”. You can see one of the interactions between Mr. 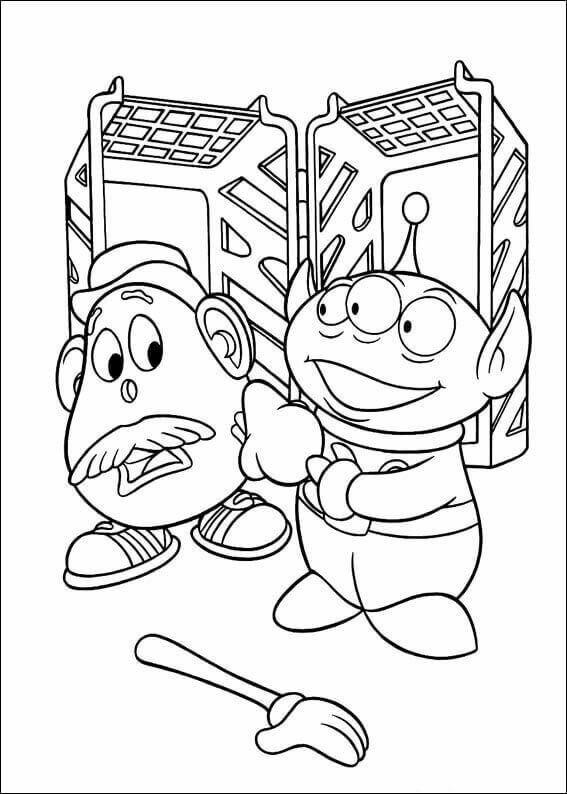 Potato Head and a three-eyed Alien toy on this coloring page. 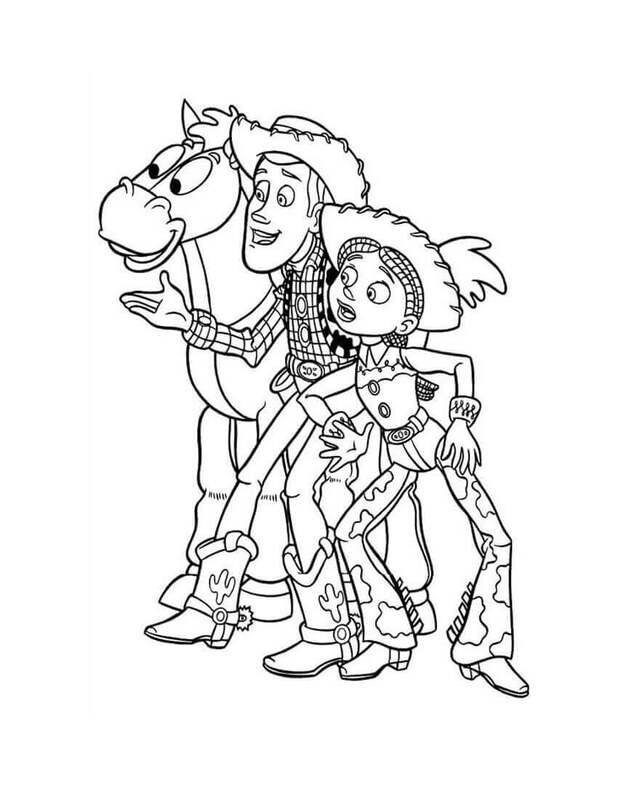 Along with Jessie, the cowgirl, Bullseye was also introduced in “Toy Story 2”. Bullseye is a toy horse and unlike the other toys in the movies, he cannot speak. Looks like these three have just seen something interesting. Third in the series, “Toy Story 3” was released in 2010 and became the first animated feature film to gross over 1 billion in the worldwide box office. Seems like these three – Buzz, Woody, and Jessie – knew they would do well in this illustration poster of the film. When Woody gets stolen and ends up in Al’s home, he finds out that he along with the other toys there are based on an old TV puppet show, “Woody’s Roundup”. You can see the shock and surprise in Woody’s eyes in this illustration. Here’s a closer look at one of three Alien squeaky toys, having three eyes, which became a part of Andy’s toy collection. The drawing of a ring planet on his attire perhaps indicates that he is from a far off planet like the Saturn, Neptune or Uranus. Print this quirky little alien and fill it with colors that are out of this world. 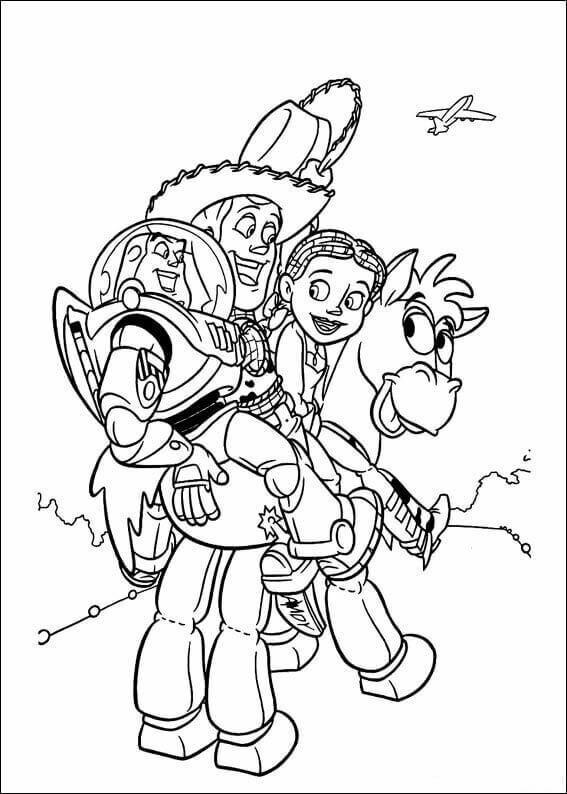 After dealing with all their adventures, the adventurous trio – Buzz Lightyear, Sheriff Woody and Jessie – are heading back home comfortably riding on the toy horse, Bullseye. A few moments earlier, Jessie and other toys Woody met at Al’s house were in a plan headed to Tokyo. Helping Woody take control of a toy meeting is Mr. Mike, a toy tape recorder. 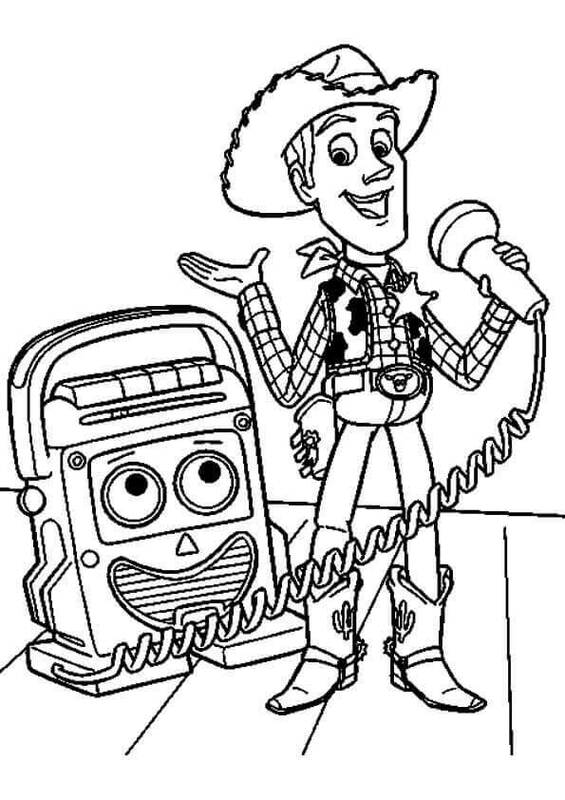 He makes sure Woody is able to conduct the toy meeting by giving him the attached microphone to speak. Learning about how the penguin toy Wheezy was put on a yard sale, Woody is able to take help from Buster, Andy’s pet dog. Funnily enough, Buster never follows the commands given to him by Andy himself. Learning about the possibility of the other “Woody’s Roundup” toys getting shipped to Tokyo, Japan, Woody along with Buzz and Bullseye head as fast as they can to reach the airport. 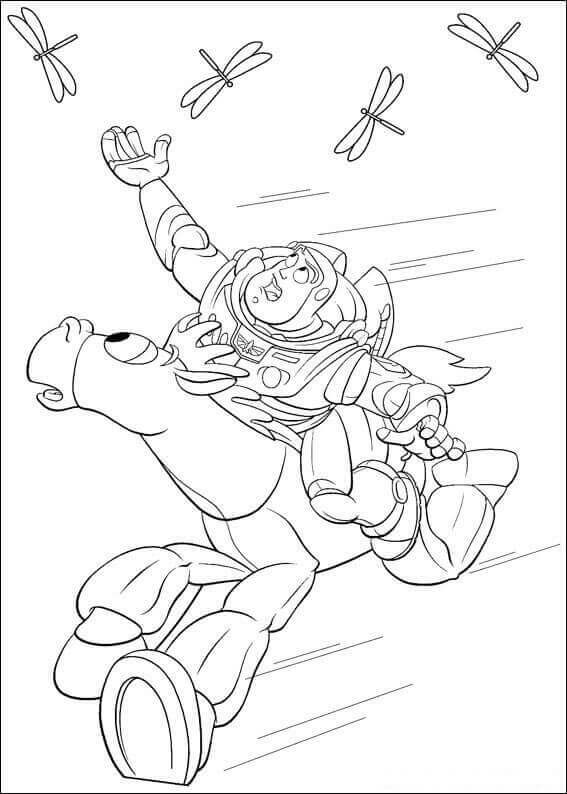 Here in this illustration, you can see Buzz riding on Bullseye who is going at his highest speed to make it on time and rescue the others. As intense as the ride is, Buzz’s curious nature takes over him as he gets distracted by a few dragonflies flying above him. After a mad rush of trying to reach at the airport on time before the plane to Tokyo, Japan left for its destination, Woody along with Buzz and Bullseye are able to rescue Jennie as well as other toys. Look how happy and relieved Jennie looks as soon as she saw that Woody had come to their rescue. Happy to have succeeded in their mission and being able to stay with Woody after being trapped in Al’s house for long, Bullseye jumps around and joyfully shows his affection for Woody. 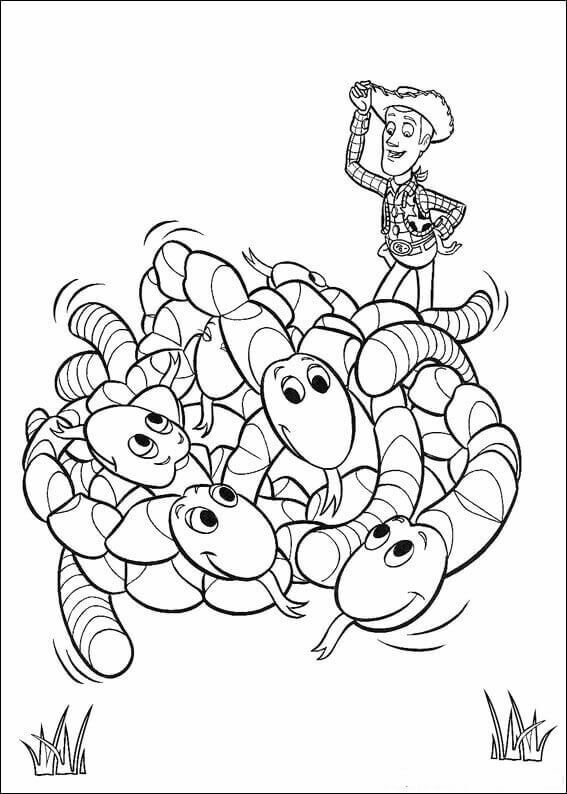 Print this page and give this lovely illustration lots of happy colors. 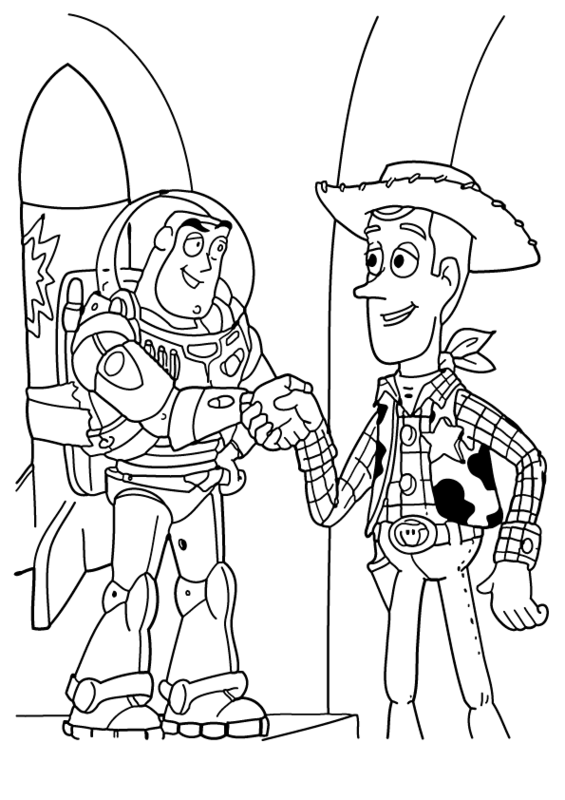 On that happy note, we have now come to the end of today’s collection of Toy Story coloring pages to print. You must have already seen all three movies in the Toy Story franchise so far. If you haven’t, make sure to watch them before June 2019. That is when the latest movie in the series, “Toy Story 4” is set to release worldwide, nine years after “Toy Story 3” which was released in 2010. 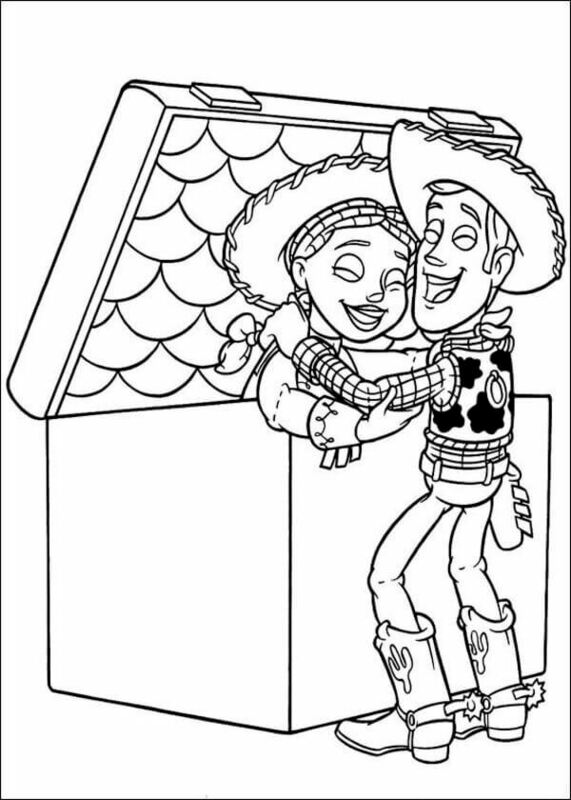 While you look forward to getting the chance to see the Toy Story world again, in the meantime you can enjoy coloring the world through this interesting collection of Toy Story coloring pages printable.